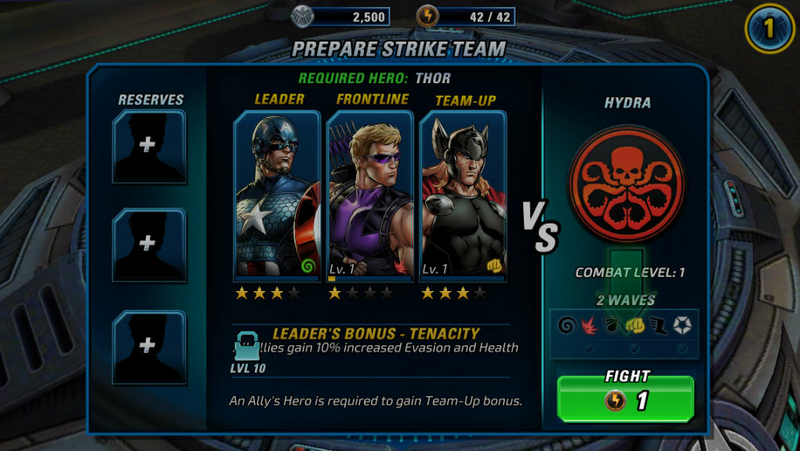 Aping games like Star Wars: Galaxy of Heroes or (to a lesser extent) Angry Birds Epic, Marvel: Avengers Alliance 2 presents a stripped back combat RPG. 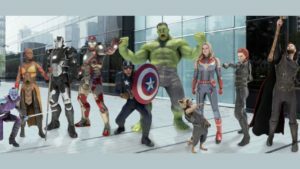 Featuring characters from Marvel’s various universes, the focus is on assembling and upgrading your favorite squad of heroes and taking them into battle against iconic villains. 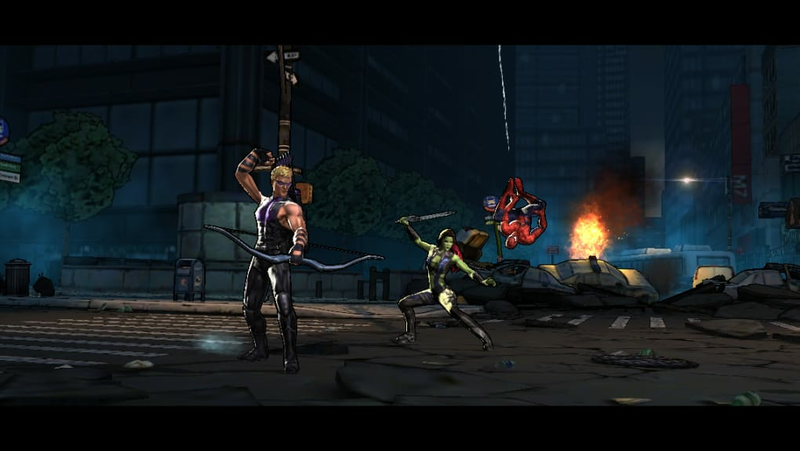 If you are familiar with the genre then you can instantly jump into Marvel: Avengers Alliance 2. Indeed, if you are familiar with it, then the tutorial may seem quite unnecessary. This training section takes you through a fight, slowly layering in more characters, moves, and systems to come to grips with. Nothing here is particularly stand out: wait for each character’s turn, pick a move, and then tap on a target to execute. There are the usual thugs to tackle and, of course, iconic Marvel villains like Dr. Octopus to take down. Predictable, yes, but there is something to having Hawk Eye use his various arrow attacks, controlling Gamora's use of her assassination skill, and having Spider-Man use his Spider-Sense to improve his evasion and defense. There is a lot to pick up, but if you forget any moves simply holding down on their icon pops up a handy description. 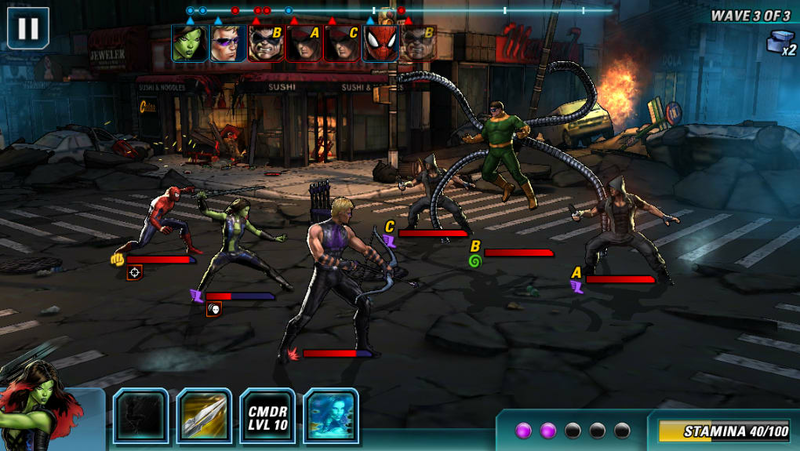 Outside of the Marvel-wrapping and flourishes this adds to the RPG combat, everything else functions exactly how you would expect a free-to-play game to. There are a huge number of collectibles, purchasable, and currencies types that you can earn or buy with real world mullah. The game offers plenty of ways to acquire these through play, although the ever increasing stamina cost of running story levels can see your progress slowed later on. All of these can be used to buy moves, upgrades, items, and of course to purchase the heroes (or occasional villains) themselves. The last of these span both the Marvel comic and movie fiction, and range from great looking to a tad warped. 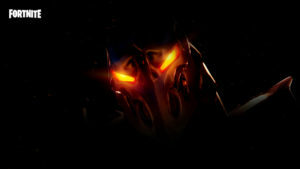 Still this is only in close ups, and once the action kicks off none of that should matter as you tear apart the various forces of Hydra, A.I.M. and company. 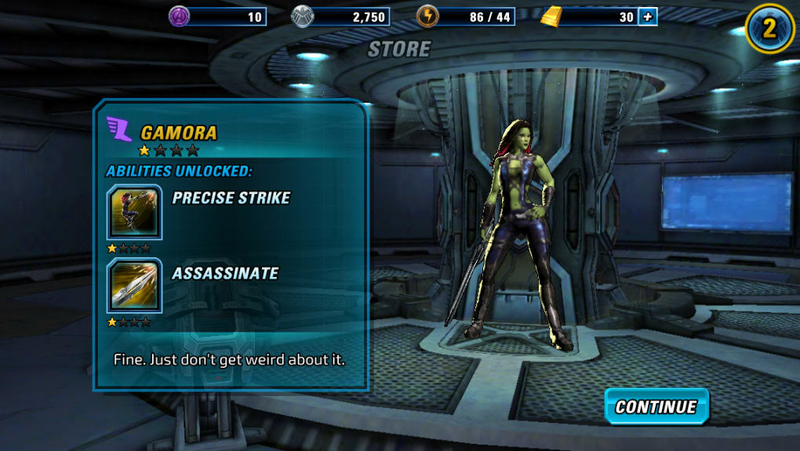 Taking a popular format and adapting it to fit a fan favorite franchise is always going to work and, despite a few iffy character models, Marvel: Avengers Alliance 2 does nothing to damage the formula. As such it is great fun for Marvel fans that are interested in it, but its offerings are a little more limited for everyone else. 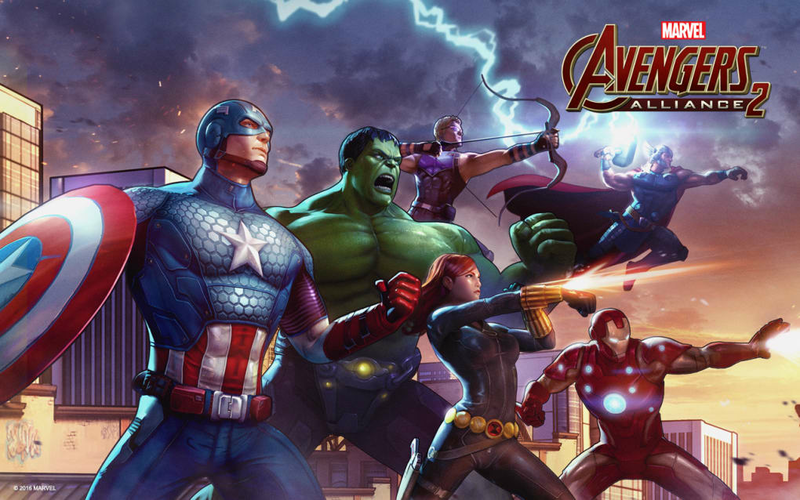 What do you think about Marvel: Avengers Alliance 2? Do you recommend it? Why?